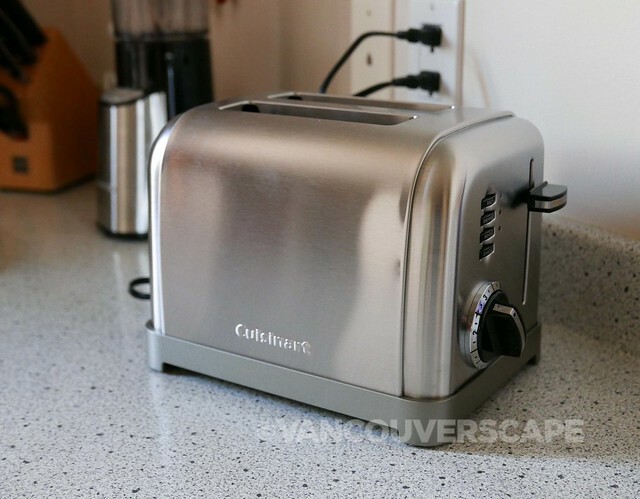 As summer slowly starts to wind down and city dwellers are heading back home, we thought it a great time to check out a space-saving two-slice toaster by Cuisinart, perfect for back to school and small condos alike. 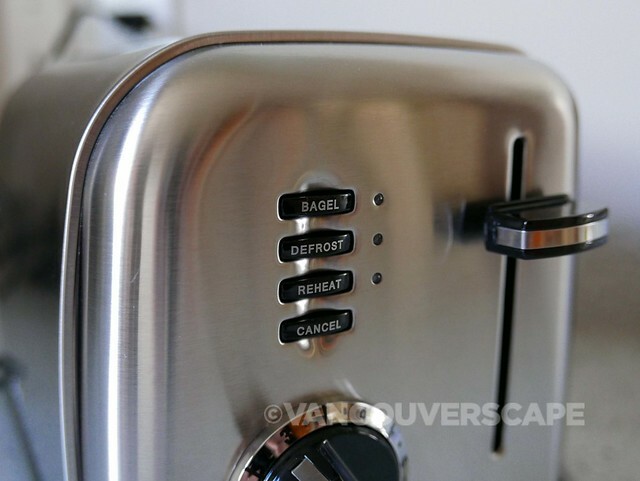 Cuisinart’s Metal Classic Two-Slice Toaster is lightweight in construction and features six settings on the dial, in addition to reheat, defrost and bagel LED buttons. We like the extra-wide 1 1/2” slot that can accommodate freshly-sliced home baked breads as well. 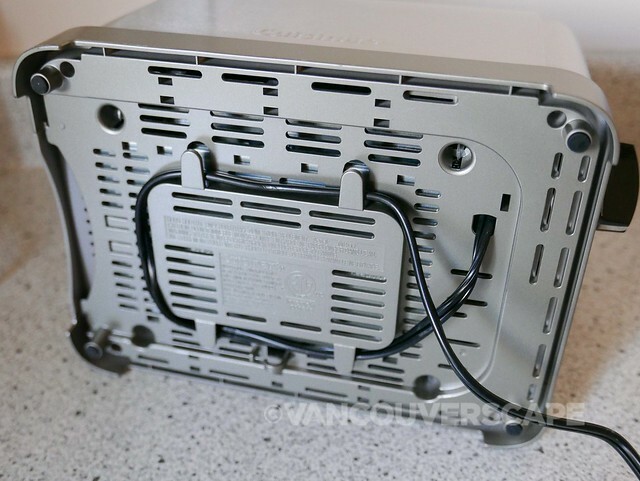 The slide-out crumb tray catches stray bits of toast; an even handier feature is the cord wrap underneath. 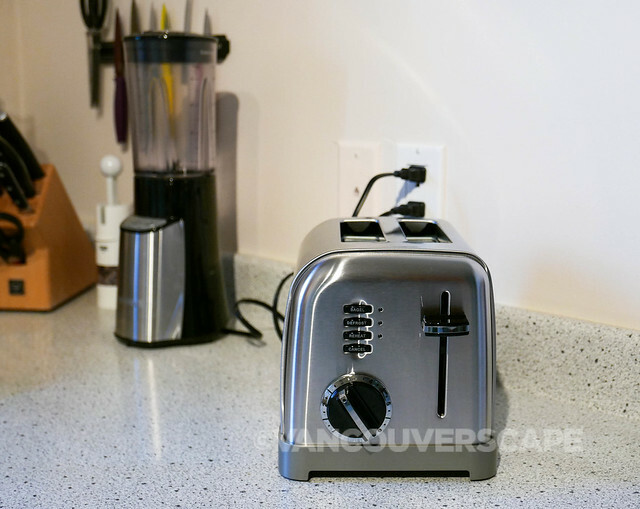 We like this brushed stainless toaster for its boxy, low profile on the counter. It’s stylish with polished chrome and black accents to match most kitchen gear. The bread toasts evenly on both sides while the convenient extra-lift carriage lever helps get toast out without burning fingers. While this toaster won’t break the bank, it’s also in a different league when compared to some of the higher end heavyweights from KitchenAid or SMEG. Part of Cuisinart’s Black Chrome Collection, the Metal Classic 2-Slice toaster is sold at Hudson’s Bay for CDN $89.99 (on sale at the time of this writing for $54.99 at Ming Wo) and comes with a limited three-year warranty. There’s also a 4-Slice version available for $114.99. 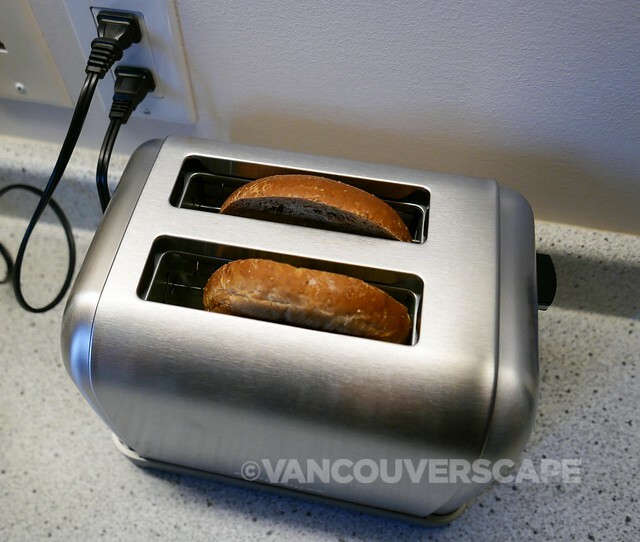 We received the Metal Classic 2-Slice Toaster for purpose of this feature. Opinions, as always, are our own. Non-watermarked images courtesy of Cuisinart Canada.